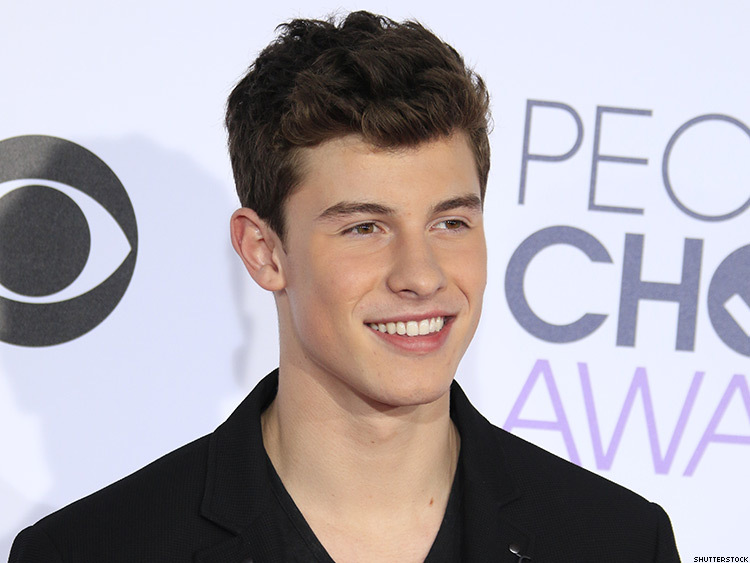 Shawn Mendes - Bio, Age, Height, Net Worth, Is He Gay, Who Is The Girlfriend? Shawn Mendes – Bio, Age, Height, Net Worth, Is He Gay, Who Is The Girlfriend? Shawn Mendes in 2015 got the entire US and Canada singing his mindblowing single ‘Stitches’ which was from his first album Handwritten, released that year. The singer-songwriter has won a lot of awards on several music platforms, he rose to popularity in 2013 after he posted series of his song covers on Vine. Since the release of his first album, Shawn has been swimming in eminence and has continued to mesmerize his fans with his music. Here are lesser known facts about the renowned musician. He was born Shawn Peter Raul Mendes on August 8, 1998, in Toronto, Ontario to his parents Karen and Manuel Mendes. Shawn is an older brother to his sister, Aaliyah. He was always inclined to music and attended Pine Ridge secondary Schools where his musical talent began to manifest. By watching YouTube tutorials, he learned how to play the guitar at 13 and in 2013, Mendes started to post his own videos on the defunct video app ‘Vine’. Only a year later, he started to gain a large following on Vine. He was soon discovered by Andrew Gertler, an artist manager who linked him to Island Records in 2014. After he was signed to the label, Shawn released his first single ‘Life of the Party’ which made it to the US Billboard Hot 100’s top 25. Also in 2014, he released his first label EP which landed on top 5 on Billboard 200. The following year, (2015) he released his full-length album ‘Handwritten’ which went platinum with over a 100 thousand copies sold and a number one spot on the Billboard 200. One of the most popular songs on the album was ‘Stiches’ which made it to the top four on Billboard Hot 100. In 2017, he released his second album Illuminate which had smash hits like ‘Treat You better’, ‘Mercy’, and ‘There’s nothing Holdin’ me Back’. He has released a single ‘In My Blood’ which is part of his third studio album. The second single ‘Lost In Japan’ was released in March 2018. Mendes also dabbled into acting in 2016 when he appeared on The 100 third season premiere. Shawn Mendes has indeed exceeded expectations with regards to his achievements in the course of his career. The talented singer sits on an estimated net worth of $12 million. Per analysis, this amount may become a trifling figure for the singer in the coming years. The singer who is just getting started has a lot to garner from his numerous tours. He has a very bright future ahead of him and is set to conquer the world. The musician has his entertainment endeavors as well as other engagements of his to thank for his financial status. Shawn at 17, was included on Forbes’ ’30 under 30′ list of influential people. With his growing prominence, there are bound to be enviable endorsement deals for Mendes from reputable brands. Is He Gay, Who Is His Girlfriend? He may be young in reality and in the industry, but Mendes has built a strong portfolio that has attracted the attention of the media, fans and the general public alike. It could be his subtle and delicate persona or his modest charisma but something about Mendes on TV always sparks speculations about his sexuality. The singer was first rumored to be gay in 2016 when several bashing comments were made about him on YouTube. It had not been the first time but Shawn had had enough of the speculations and decided to speak up. The singer took to his Snapchat in June that year during a break on his Handwritten World tour to clarify his sexuality, saying he is straight and not gay. He also addressed that one’s sexuality should not define the way he is treated. Moreso, he bemoaned cyber bullies who never hesitate to make hate comments about others. Now that we’ve got the gay talks out of the way; let’s bring in the singer’s love life. Shawn Mendes has been linked with Camila Cabello of ‘Fifth Harmony’. These talks started after he collaborated with her on his 2015 hit ‘I Know What You Did Last Summer’. However, he has never confirmed this. The singer is said to be single and is yet to find the one. See Also: Sam Smith Bio, Weight Loss, Net Worth, Is He Gay, Who Is The Boyfriend? Shawn Mendes’ subtle but awesomely cute body has not only made him a ladies’ man but also a very unique personality. With his height of 6 ft 2 inches (188 cm) which is quite proportional to his weight of 83 kg (183 pounds), Mendes not only passes for a tall man but is also a man with a good stamina. Shawn’s biceps which measure 36 cm and his chest size of 97 cm perfectly rest in his waist of 79 cm, creating a sturdy but subtle aura around the unique talent; no wonder the ladies love him.